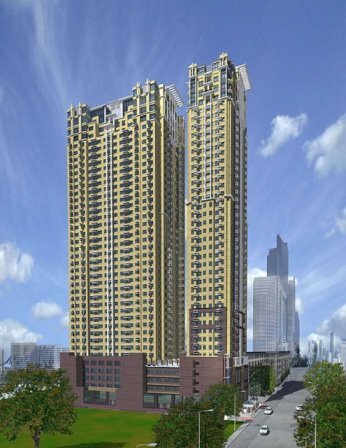 Contractor: Pacific Concord Properties Inc.
Lancaster Suites Manila Atrium Tower II Shaw Boulevard, a mere 5 mins walk from Ortigas Center offering Studio, One, Two & Three Bedroom Condo units for sale on up to 12 year payment terms. Great Investment for Fil-Am's whom visit Manila for Vacations or Business as they can earn Rental Incomes of some 18% ROI per annum as Owner Non-Residents when not using their units through Condotel Management and reciprocal arrangement with Lancaster Cebu Resort Residences. This makes Lancaster Suites one of the Hottest Investment Opportunities in the Philippines. Watch for the Sales Launch of Lancaster Suites Manila Atrium Tower II this coming March 2006.